Are there children of this or past relationships? Will they be secure if there is a separation or death? Do you both work? What happens if a younger female has children and loses her earning capacity? Will an equal share of the house suffice if looking after children on less money? Is there an unequal cash contribution? Not being named on the title for some vague reason given by your partner in the modern world should be explored. Has a third party such as parents helped and do they want your partner to share in their generosity come what may? What if you marry in the future? 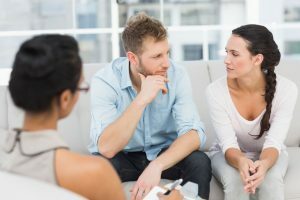 This article was added on Thursday, June 22nd, 2017 at 11:50 am and is categorised under cohabitation disputes, Family finances, Family Law, living together agreements, northwich solicitors, prenups, Runcorn News, wills, Winsford News. Both comments and pings are currently closed. Error: Error validating access token: Session has expired on Saturday, 09-Mar-19 13:12:58 PST. The current time is Thursday, 25-Apr-19 05:57:03 PDT.